Given the mobile gaming market’s explosive growth in the last couple of years, it makes sense that we’ve seen quite a few mobile games based on major video game franchises being released to date. Like 2015’s Lara Croft Go, which was based on the much-loved Tomb Raider games, and which was one of the top mobile games of that year, plus the highly-anticipated Deus Ex: Mankind Divided will also get a “Go” mobile game this year. So it is not a surprise that French video game company Ubisoft put out a mobile game based on their best-selling Assassin’s Creed franchise this year, in addition to the earlier Assassin’s Creed Pirates for mobile platforms. The game, titled Assassin’s Creed Identity, came out in February for iOS devices like iPhones and iPads, and was later released on Android too. One good thing about Assassin’s Creed Identity (besides being able to play a Creed game while enjoying a bus ride) is that it is the closest thing to the console versions of the games for mobiles. 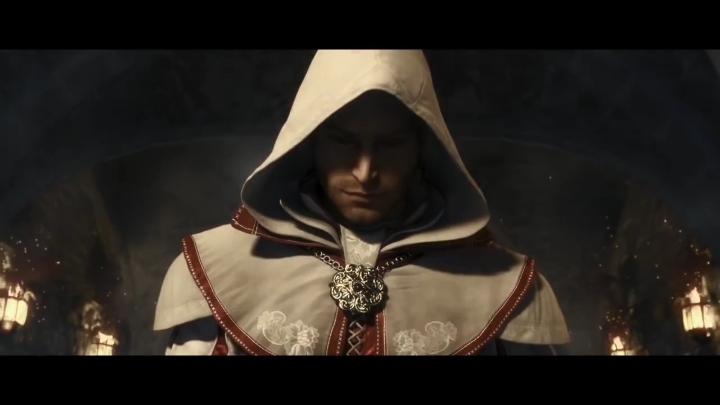 The game is set in the Italian Renaissance, like the superb Assassin’s Creed II game released in 2009, and features a plot involving historical characters like Leonardo da Vinci and Cesare Borgia. Although obviously Identity doesn’t tell such an intricate and deep tale as the console Assassin’s Creed games, and also the game’s world is divided into sections featuring specific missions and lacks the open-world grandeur of the console editions. And perhaps something that might not be to everyone’s taste is that the game includes microtransactions like 2014’s Assassin’s Creed Unity, which allow you to upgrade your character in an RPG way by paying real money… Actually, the game has other role-playing elements like being able to choose your character’s class from three available classes, with some focusing more on stealth than combat than others, for instance. It is clear then, that Assassin’s Creed Identity is just a mobile diversion that won’t replace a full-fledged Assassin’s Creed console game anytime soon. Although those disappointed by Ubisoft’s decision not to release a major Assassin’s Creed game this year at least have a new adventure to play through on their mobiles until a new game in the series is released sometime in the future. Note: Assassin’s Creed Identity is available on Google Play and the App Store. Next: Will Detroit: Become Human be a case of style over substance? Will Detroit: Become Human be a case of style over substance?